With things calming down over here from the after wedding high (and woes... for a later post) I wanted to make sure that our first Valentines as a publicly married couple, finally, was a good one! Rod is a fan of fashion and never really needs help when it comes to putting something together that is unique to him. So when it came to picking out a watch, I was definitely intimidated because his style can still surprise me at times. 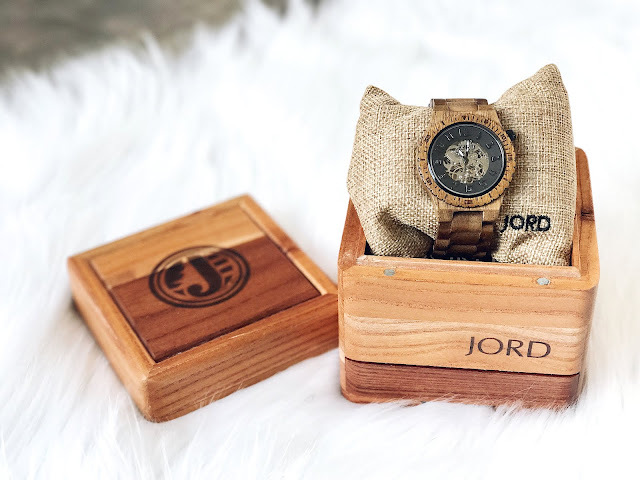 Jord Wood Watches have some of the most unique and beautiful watches I've seen in awhile and I knew it was the right fit for him. Picking one was a little harder but I think I did good with the Koa and Black. 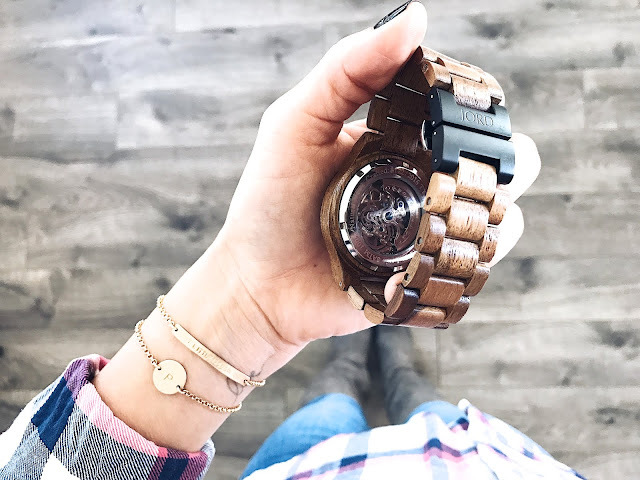 I picked this watch particularly because it was super detailed and being able to see the moving parts within the watch is the best part! Now, can we talk about how beautiful the packaging for their watches are? I had no idea but it seems like a present by itself. The box has a magnetic seal on the top and a little drawer on the bottom where they provide the oil, cloth and tool to remove or add links. 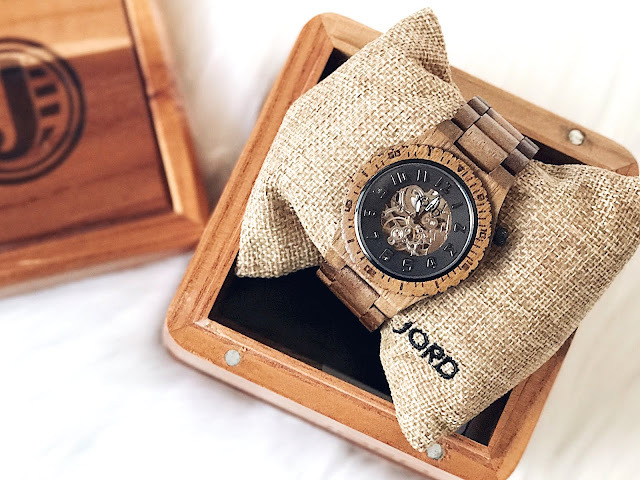 These watches are a perfect blend of casual sophistication and unique style with many options depending on your mans taste. 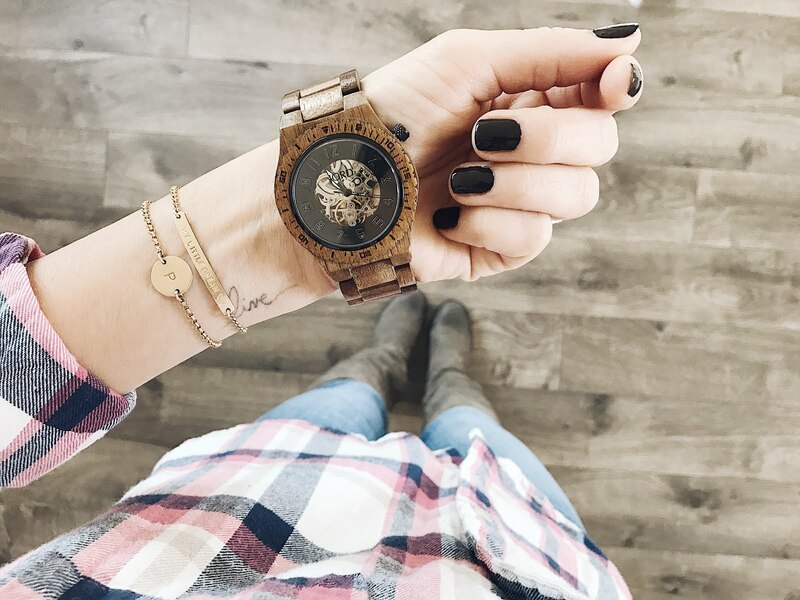 I can't wait to snag one for myself as their Women's watches are just as stunning! If you didn't catch it on my Instagram post, they are having a $100 giveaway that ends this Sunday, January 29th at 11:59pm. 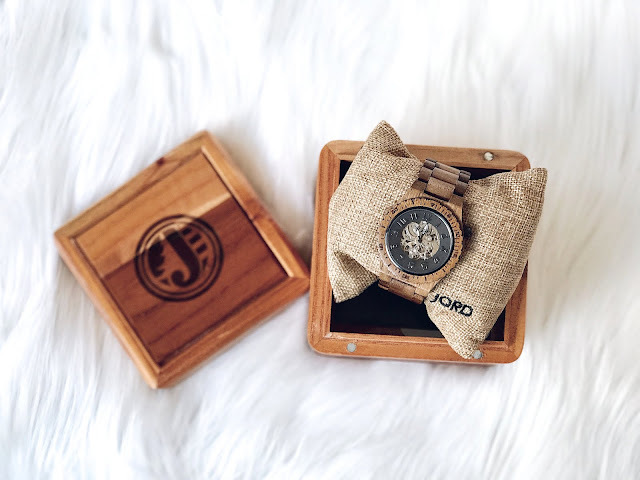 Just for entering you will receive a $25 gift card! ***The $100 and $25 Gift Codes will expire April 30th, 2017.